style in Saturday’s performance….You wanted encores—preferably, his entire repertoire. 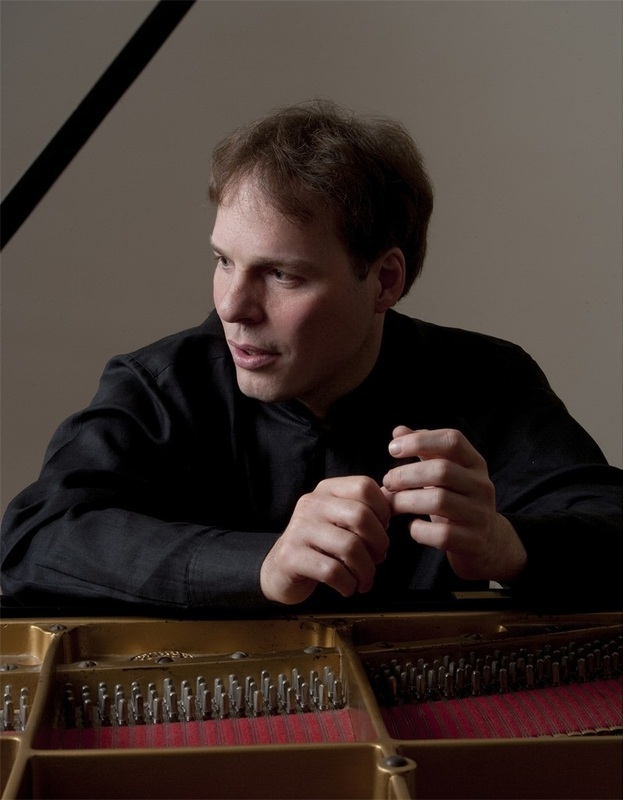 ― extremely cultivated, refined command of the keyboard"
Alon Goldstein, the pianist of the Tempest Trio, is one of the most original and sensitive pianists of his generation, admired for his musical intelligence, dynamic personality, artistic vision and innovative programming. His orchestral debut took place when he was 18 with the Israel Philharmonic under Maestro Zubin Mehta; in April of 2008, he returned with Maestro Herbert Blomstedt. Since then, Maestro Goldstein has performed in Los Angeles, Philadelphia, San Francisco, Baltimore, St. Louis, Houston, Vancouver and Kansas City. Abroad, Maestro Goldstein has collaborated with orchestras in Paris, Russia, Romania and Bulgaria. During his 2012-13 season, Maestro Goldstein had toured Central and South America with the Israel Chamber Orchestra under the baton of respected conductor Yoav Talmi, giving highly acclaimed series of sixteen concerts that featured Beethoven's Piano Concerto No. 2 and Mendelssohn's Piano Concerto No. 1. Other concerts include his debut with the Toronto Symphony Orchestra - featuring Tchaikovsky's Piano Concerto No. 2 - and his performance with the Tokyo String Quartet in its final season of concerts. Maestro Goldstein’s most recent debuts include his Carnegie Hall appearance in the Mozart Triple Concerto with Joseph Kalichstein and Shai Wosner, his successful performance with the London Philharmonic Orchestra and Vladimir Jurowski, and playing with the Orchestre Philharmonique de Radio France, conducted by Leon Fleisher. His recital and chamber music concerts in Beijing, Guatemala City, Kent (UK), Chicago, Jerusalem, and Tel Aviv were all highly acclaimed.